Here’s a terrific article about what to do and NOT to do when turning your book into an audiobook ~ from first hand experience! 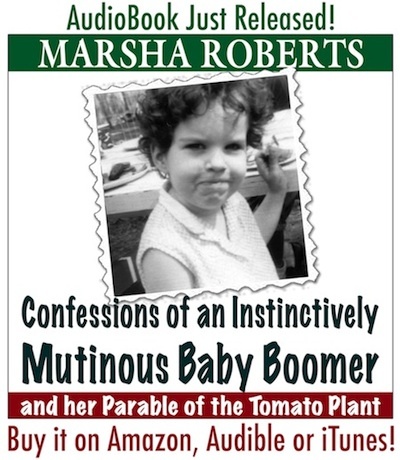 The good news is we got it done for Miz Marsha’s book “Confessions of an Instinctively Mutinous Baby Boomer” and it’s up and running and sounds great AND IS ACTUALLY SELLING! The bad news: It’s a hell of a lot harder than we had any idea, and we’ve spent most of our professional lives making films and videos in varying lengths from TV spots to features. Even a feature is only around 90 minutes long. The final running time on Marsha’s book was just over . . .
And her book is a moderate 65,000 words. A six hour show! Nine hours for a 100,000 word book; twelve hours for a 130,000 word book. ← New Release! The Mutinous Boomer Audiobook!